A couple of days ago I wrote a paper for the Ontario Bar Association’s Constitutional, Civil Liberties and Human Rights Section, posted here. The article is re-posted herein. It explores the concept of damages in lieu of reinstatement in the context of the Human Rights Tribunal of Ontario. Since the change to the direct access model in 2008, the Tribunal has never ordered these damages previously, and the failure to award damages in lieu of reinstatement where an employment relationship is not viable compounds the harm experienced by victims of discrimination. This is particular so where the relationship has broken down through no fault of the applicant. The Tribunal’s remedial power is not limited by “proportionality”. Causation is the appropriate guiding principle applicable to human rights remedies. [v] Applicants should only be compensated for the harm experienced from discrimination that is caused by the respondent. Reinstatement is often the only remedy that will truly put an applicant into the position she or he would have been in had the discrimination not occurred. Reinstatement, when sought, is only refused by the Tribunal when there is a reason not to order it. In the past the Tribunal has declined to order reinstatement where it has found that the applicant would have been terminated in any event even if the discrimination had not occurred,[viii] or there is animosity between the parties and the employment relationship is no longer viable. 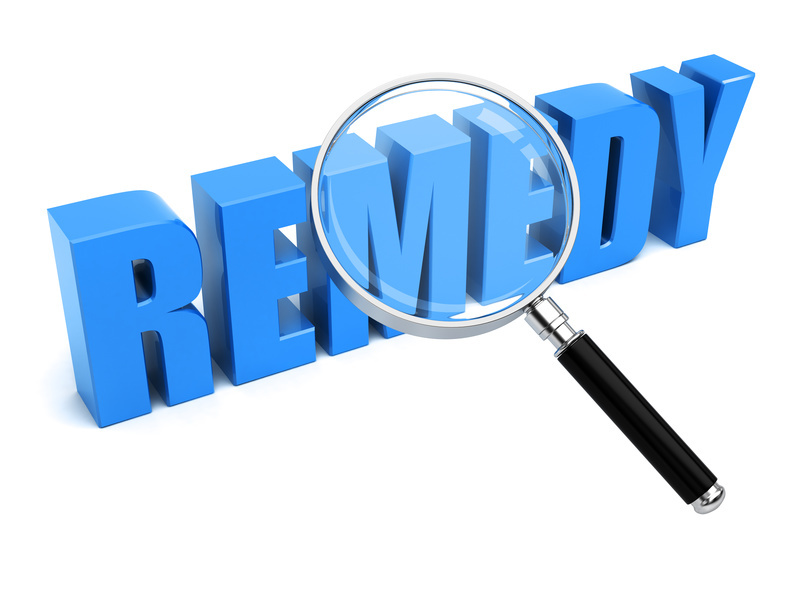 [ix] Given that reinstatement is often ordered when sought, and only declined where there is reason to decline it, it seems reinstatement may be more appropriately considered the “presumptive remedy” rather than an “exceptional remedy”. Joe, a sixty-three year old labourer, has worked for Discrimination Corporation (“DC”) for the past thirty-seven years. Two years ago DC hired a new general manager, who immediately identified DC’s aging workforce as an issue to be addressed. A voluntary retirement program was put into place and older workers were transitioned out of the workforce. Joe, however, had spent the majority of his life at DC and declined participation in the voluntary retirement program. When it became clear Joe would not leave voluntarily, the new general manager resorted to other tactics. Comments were made to Joe about his age on a regular basis and he was assigned the most physically strenuous jobs in the factory. Not surprisingly, the strenuous jobs took their toll on Joe’s health and he now suffers from repetitive strain injuries to both wrists. Joe knew that his employer was trying to force him out of the workplace. After months of negative comments and deteriorating health, Joe lost his temper and snapped at his general manager. His employment was immediately terminated for just cause. Joe filed an application with the Tribunal alleging discrimination on the basis of his age. One and a half years later Joe’s hearing date arrives. By this time, he has exhausted his employment insurance benefits and has been unable to find work, despite applying to every position he came across. Joe is seeking reinstatement to DC Corporation. The Tribunal finds that Joe was treated adversely and terminated solely as a result of his age. Under cross-examination, Joe admitted that he doesn’t like the general manager and would find it very difficult to work with him again in the future. The Tribunal finds that there is animosity between Joe and the general manager, and concludes that the employment relationship is no longer viable. [x] Lost wages are ordered to the date of the hearing, as well as $15,000.00 in general damages, but reinstatement is not. The Tribunal has refused to order wage loss following the date of the hearing. Is it fair that Joe’s story ends with reinstatement being declined? Let’s look at the case scenario above more closely. The employment relationship may not be viable. The reason for that however is that Joe’s manager targeted him for a year and Joe became resentful of the discrimination. Put another way, “but for” the discrimination Joe would not have become resentful and hurt, and the employment relationship would have been viable. Should DC benefit from the discriminatory campaign it undertook to eliminate Joe from the workplace? From a remedial perspective, should Joe suffer as a result of the discriminatory actions taken by DC? If so, that provides respondents with a clear incentive to engage in aggressive behaviours to bolster their position that the employment relationship is no longer viable (if they do so, reinstatement is less likely to be ordered when sought). To prevent this result, where the Tribunal finds the employment relationship no longer viable through no fault of the applicant, the Tribunal ought to order damages to compensate the applicant for the fact that the discriminatory actions have resulted in animosity and an unsalvageable employment relationship. In fairness, it may be that applicants don’t ask for damages in lieu of the right to reinstatement. When these damages are sought however, and hopefully they will be sought on a consistent basis by applicants moving forward, the Tribunal would be failing the remedial objectives of the Code in refusing to order these damages. The Human Rights Tribunal of Ontario has not substantially addressed damages in lieu of reinstatement. Other forums have made such awards and below are two cases, which could serve as examples for how the Tribunal may determine such damages in the future. In applying the Canada Labour Code, adjudicators have adopted the so-called “modern approach” to damages in lieu of reinstatement. That approach, which will be highlighted below, may be appropriate, particularly since the remedial principles contained within the Canada Labour Code are similar those in the Ontario Human Rights Code. Section 242 of the Canada Labour Code provides for compensatory damages in the form of lost wages and reinstatement, as well as a catch-all equitable provision, which provides that an adjudicator can “do any other like thing that is equitable to require the employer to do in order to remedy or counteract any consequence of dismissal”. In Taylor v. Exalta Transport Services Ltd.[xii], Adjudicator Williams-Whitt adopted the modern approach from a previous arbitral decision under the Canada Labour Code. The method is a simple formula, whereby the employee receives one and one half months’ pay for each year the complainant worked. In the human rights context, the employee’s length of employment was irrelevant, however the Tribunal could ultimately assess damages in lieu of the right to reinstatement in a similar manner as the Tribunal assesses general damages. The Tribunal avoided speculative future lost wages by ordering damages based on its assessment of a reasonable time period for the employee to find alternative work, taking into consideration the individual circumstances of the applicant. While the Tribunal does not award common law damages, a reasonable assessment of what the damages may be is more appropriate than a flat-out refusal to make the applicant whole because of the fear of speculative damages. As an alternative to the “modern approach”, a federal tribunal applied remedial principles to reach a damages award that it considered fair in the circumstances. In Turner v. Canada (Border Services Agency),[xiii] the Canadian Human Rights Tribunal found that Canada Border Services Agency discriminated against Turner on the basis of his age, race, colour and perceived disability (obesity), in depriving him of employment opportunities in two separate job competitions. Turner initially sought reinstatement, however at the remedy stage of the hearing, he withdrew his request and instead sought damages in lieu of the right to reinstatement. By the time of the remedy hearing, Turner was employed with Service Canada, earning approximately $13,059.57 per year. As damages in lieu of the reinstatement, the Tribunal ordered the difference in pay between the two jobs for a period of five years, totalling $65,297.85. While the Tribunal did not explain its reasons for choosing a five-year period, the decision nonetheless recognized the harm caused by the forfeiture of the claim to reinstatement. The ‘make whole’ remedial principles of the Ontario Human Rights Code ought to necessitate that where reinstatement is sought and not ordered, damages should be ordered in lieu in order to make the applicant whole to the extent reasonably possible. There are different ways to determine the quantum of these damages, but a straight refusal to order any remedy in this respect, is a failure to eliminate discrimination in Ontario and put an applicant into a position she or he would have been in but for the discrimination she or he has experienced. It also fails to recognize the extremely vulnerable circumstances of many applicants and the challenges they will face in obtaining alternative employment. [i] The Human Rights Tribunal of Ontario’s broad remedial powers are found at section 45.2 of the Code. [ii] While intention is not relevant in determining an appropriate remedy for a violation of the Ontario Human Rights Code, it is relevant federally when determining the appropriate remedy for a contravention of the Canadian Human Rights Act, where section 53(3) provides that the Canadian Human Rights Tribunal may award up to $20,000.00 in additional compensation if the Tribunal finds that the respondent “has engaged in the discriminatory practice wilfully or recklessly”. [iii] ADGA Group Consultants Inc. v. Lane (2008), 91 O.R. (3d) 694 at para 129 (Div. Ct.) at para 151. [iv] Ontario Human Rights Commission v. Impact Interiors Inc.,  O.J. No. 2908 (Ont. C.A.) at para 2. [v] Ibid. (ADGA) at para 151 where the Divisional Court states that damages must be “reasonably foreseeable”. [vi] See British Columbia (Public Service Employee Relations Commission) v. British Columbia Government Service Employees’ Union,  3 S.C.R. 3 (“Meiorin”) at para 3, where the Supreme Court allowed an appeal and restored the arbitrator’s decision to reinstate an employee, Nilsson v. University of Prince Edward Island,  P.E.I.H.R.B.I.D. No. 2 where the Board of Inquiry ordered a professor reinstated following a finding of age discrimination, Matheson v. Presbytery of Prince Edward Island and Others,  P.E.I.H.R.B.I.D. No. 1 where the Board of Inquiry ordered reinstatement eleven years after the breach of the Human Rights Act had occurred, and, Fair v. Hamilton-Wentworth District School Board, 2013 HRTO 440 where the Tribunal ordered the applicant reinstated to an alternative position almost nine years following her termination. [vii] McKinney v. University of Guelph,  3 S.C.R. 229 at para 341. [ix] Supra note vi (Fair) at para 17. [x] It should be noted that there are cases opposing this line of reasoning. For instance, in Narraine v. Ford Motor Co.,  O.H.R.B.I.D. No. 43, the Board of Inquiry addressed the damaged working relationship, stating at paragraph 10: This type of reasoning has provoked discussion in human rights jurisprudence as well. One human rights tribunal initially refused to reinstate the complainant to her original position at the Secretary of State office in Regina because it found that the “reunion would be a recipe for disaster,” and that there was “too much bitterness between the parties to think that reinstatement of the complainant to her former job is workable”. [See Pitawanakwat v. Canada (Secretary of State) (1992), 19 C.H.R.R. D/110 (Can. Hum. Rts. Tribunal). This decision was overturned by the Federal Court, Trial Division which concluded that potential for future problmes did not justify a decision to refuse reinstatement, and that failing to grant full reinstatement could “minimize” and “enfeeble” the impact of human rights law. [See Pitawanakwat v. Canada (Attorney General) (1994), 21 C.H.R.R. D/355.